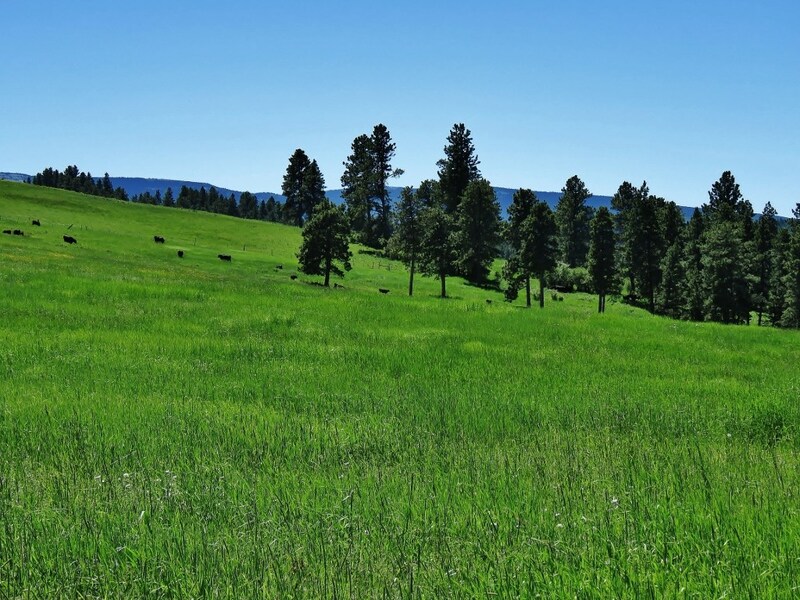 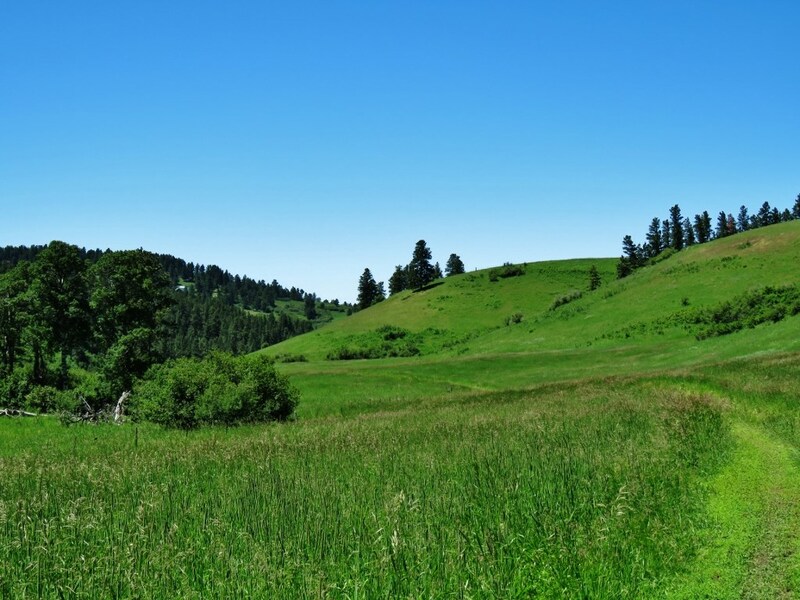 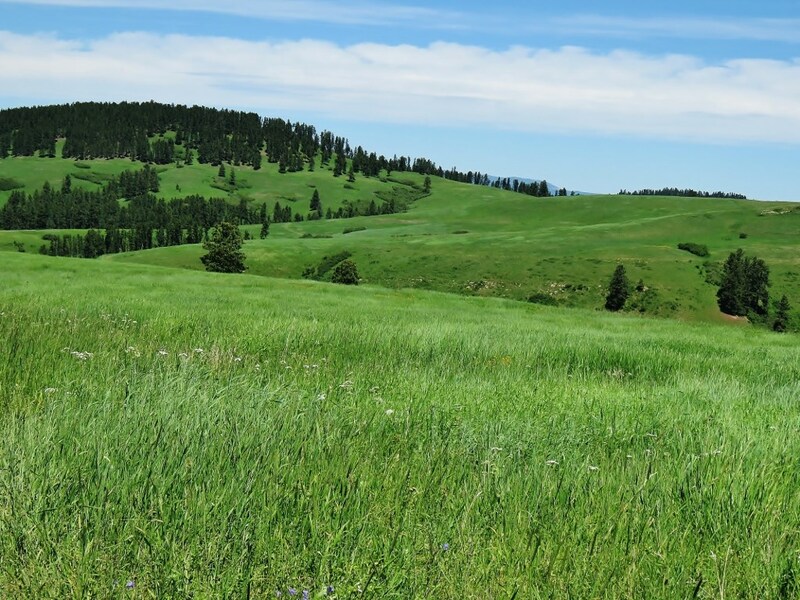 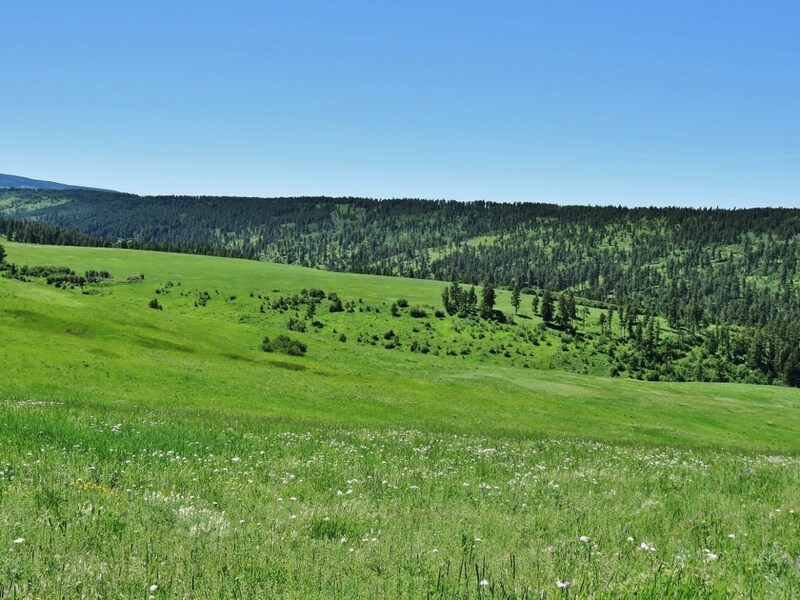 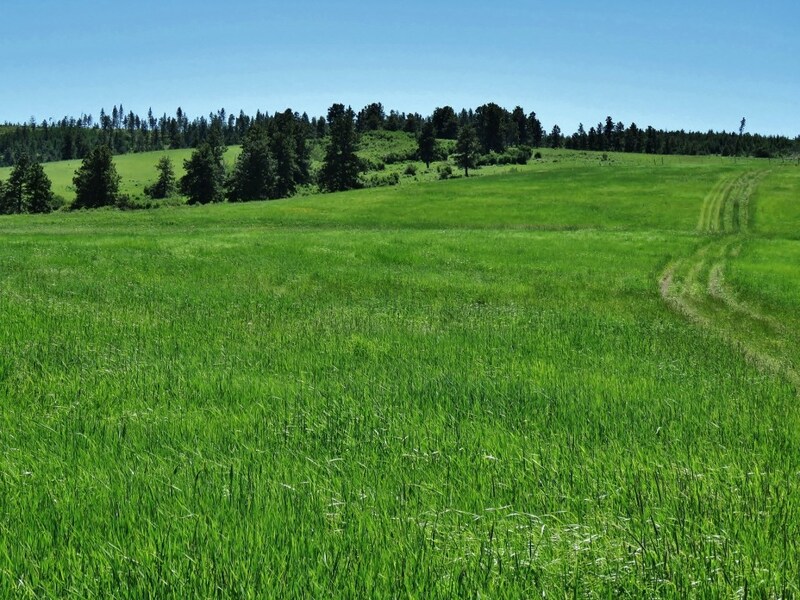 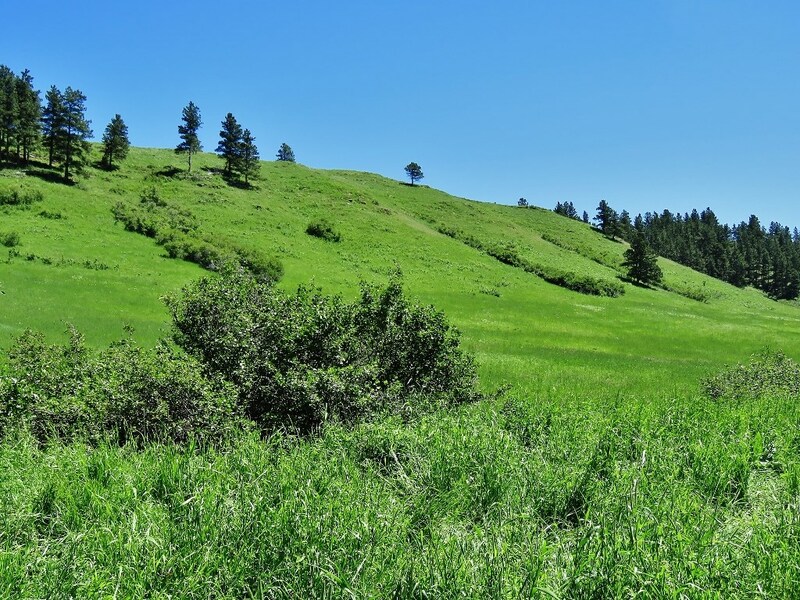 The Snowy Mountain Springs Ranch is an incredible mountain ranch property that is comprised of 662+/- acres of improved grassy meadows, Pine, Fir and Aspen trees. 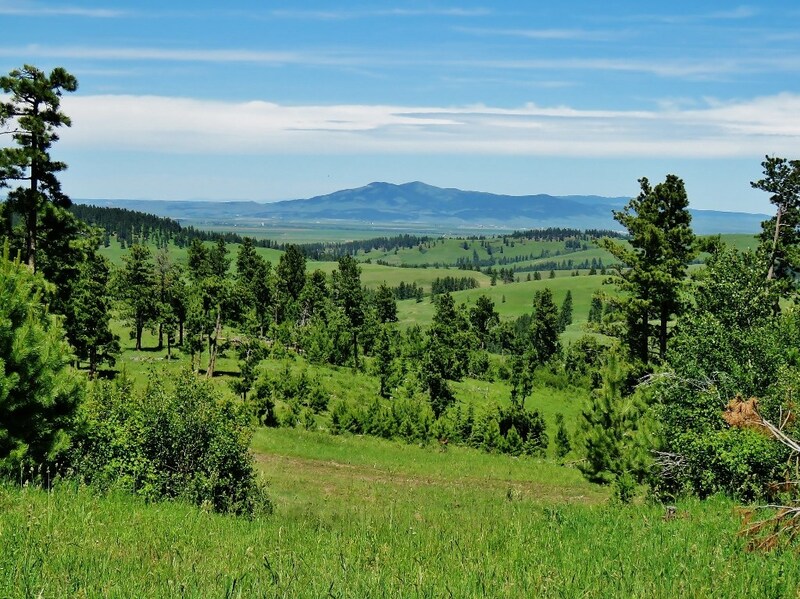 Situated in the beautiful Big Snowy Mountains of Central Montana, this ranch provides spectacular views of three mountain ranges. 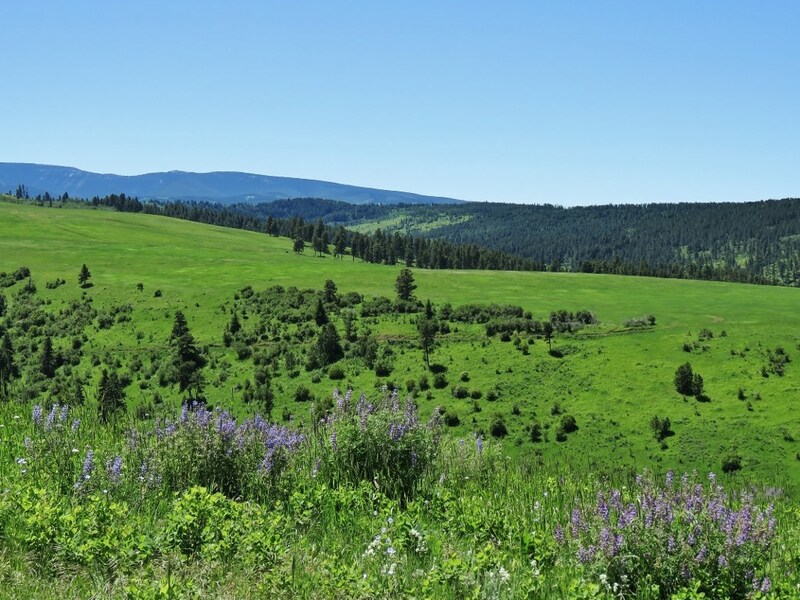 There is abundant live water with the Middle Fork of Beaver Creek, multiple springs and ponds. 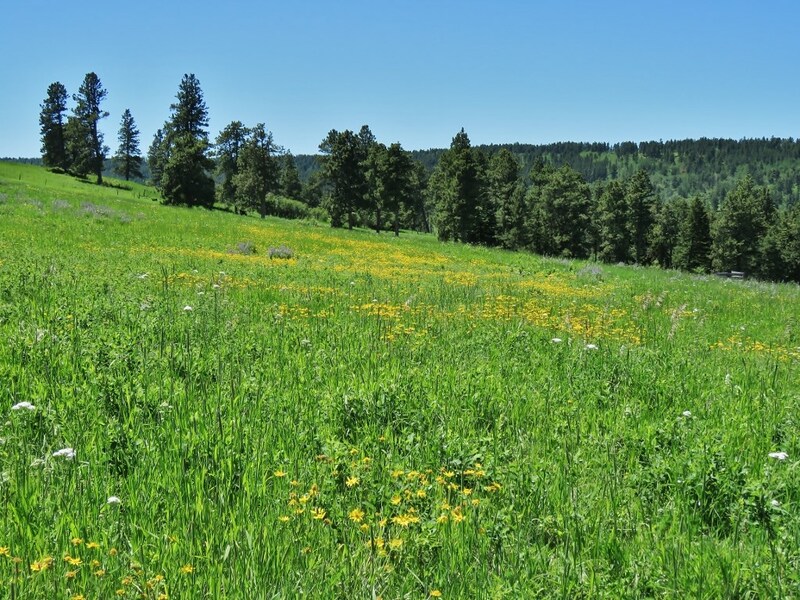 The ranch is a spectacular property for wildlife viewing, big game and upland bird hunting, as well as an exciting live water fishery for brook trout. 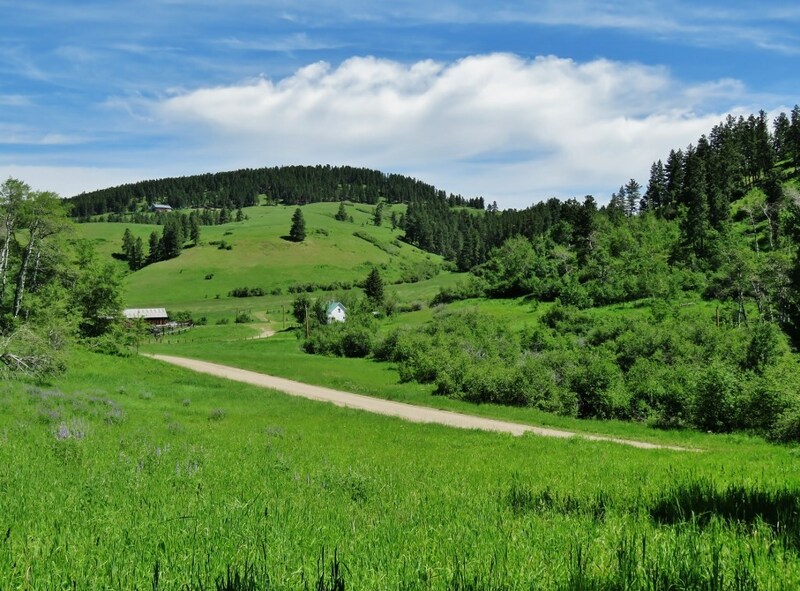 The Snowy Mountain Springs Ranch is located 15 miles SW of Lewistown, MT. 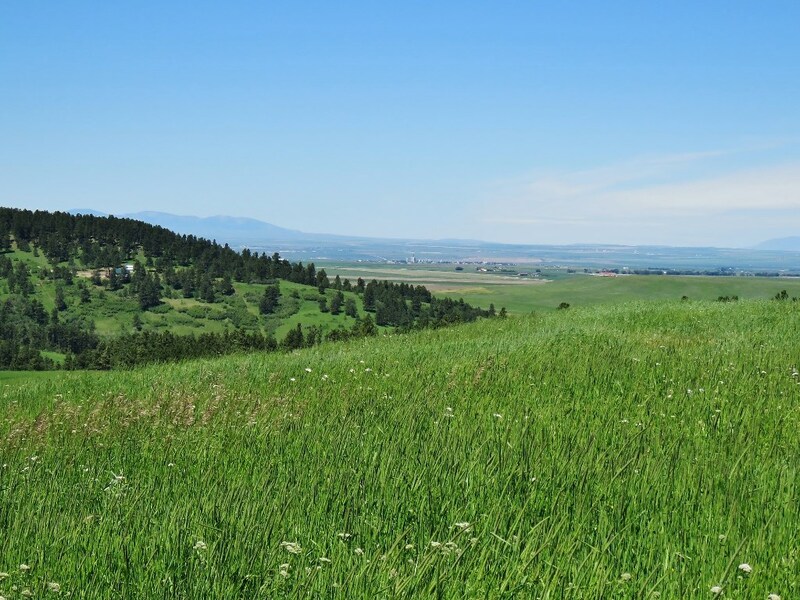 Lewistown has a population of 6500 and serves 14,000 as the economic and health care center for the surrounding rural communities. 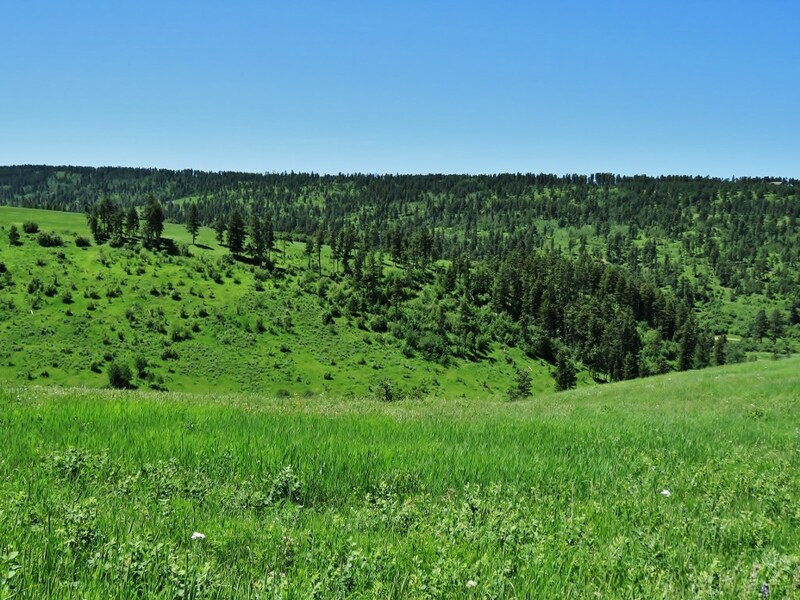 Located 125 miles NW of Billings MT (Billings Logan International Airport) on US 87 N, 104 miles east of Great Falls (Great Falls International Airport) on MT-200W and 162 miles NE of Bozeman, MT (Bozeman Yellowstone International Airport) on US 191 N & 1-90 E, Lewistown is the geographic center of Montana. 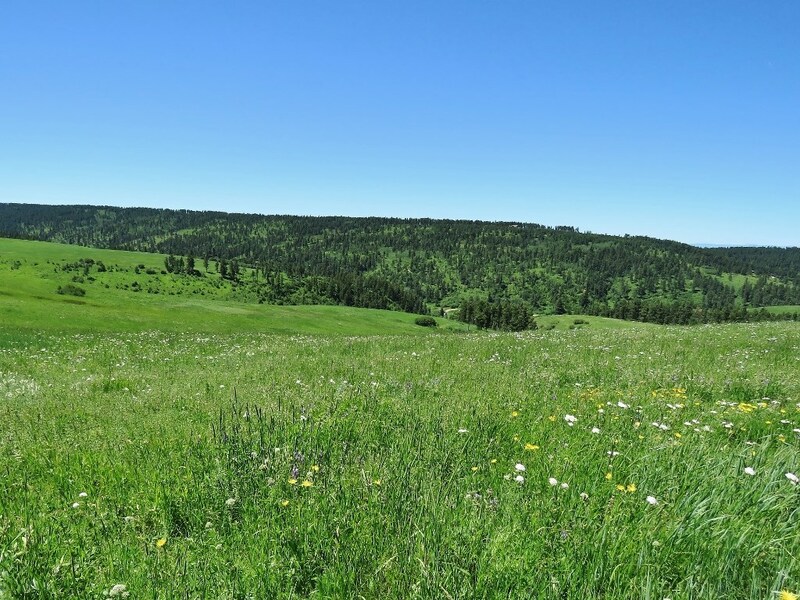 The Snowy Mountain Springs Ranch offers 662+/- deeded acres, with 448+/- acres of improved grazing and 214+/- acres of forest. 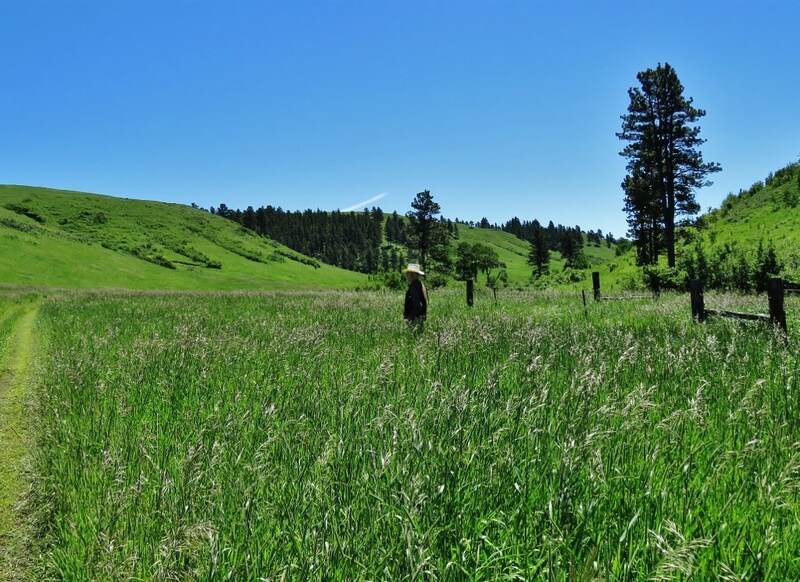 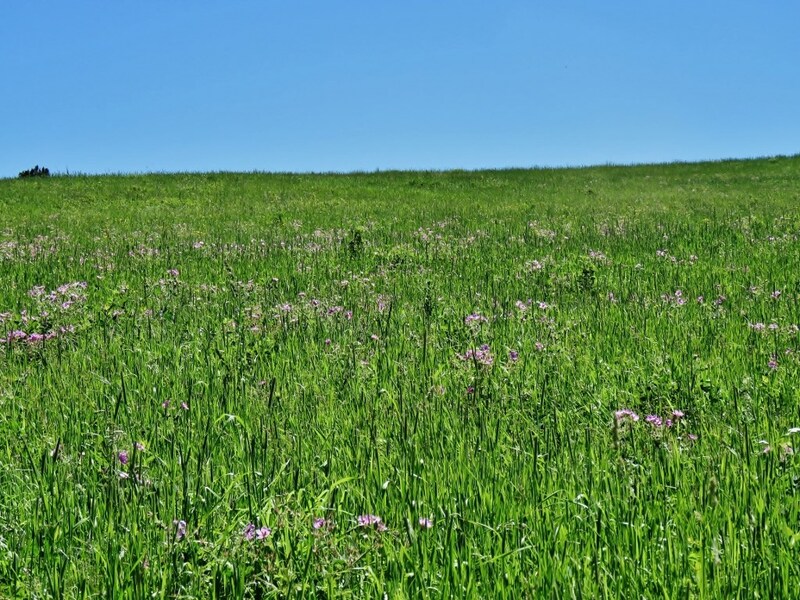 Through diligent grazing management and the air seeding of Orchard grass, Western Wheat grass and Orchard grass have replaced the majority of the Timothy grass and bluegrass which were dominant in earlier years. 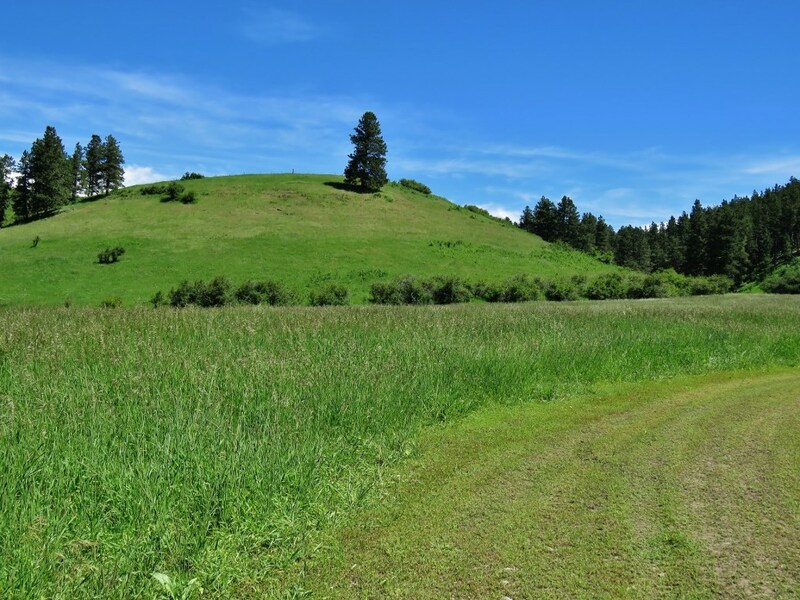 The property has been logged twice, in the early 1980’s and again in the late 1980’s. 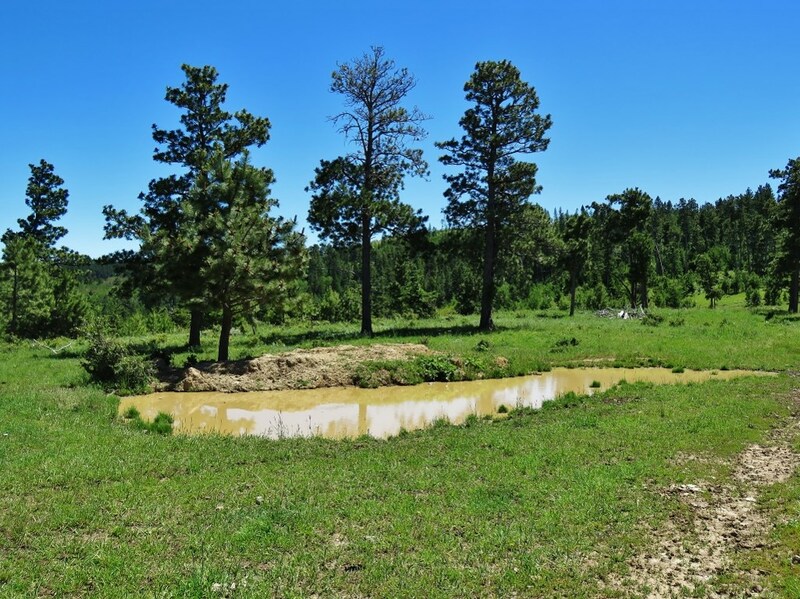 The property is well watered by multiple developed and undeveloped springs, ponds, and even a water fall. 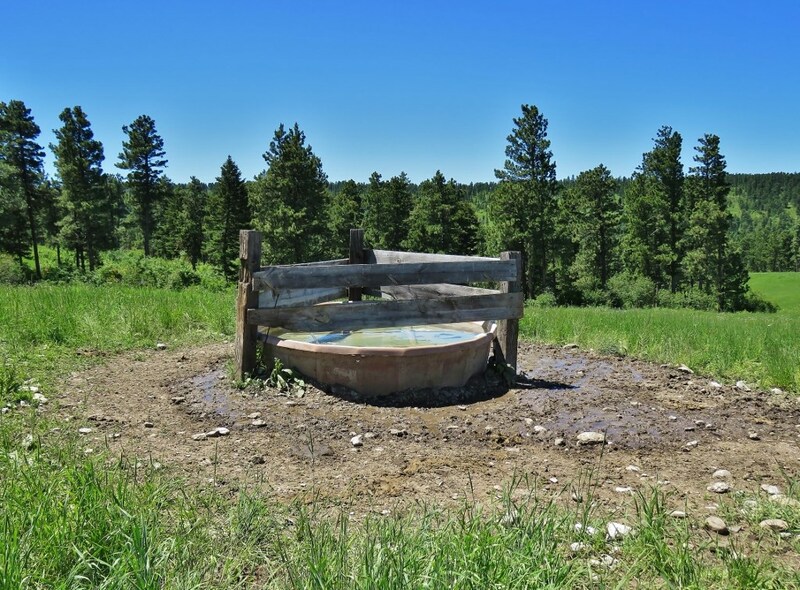 Five stock tanks, two of which provide water year round, are located throughout the ranch. 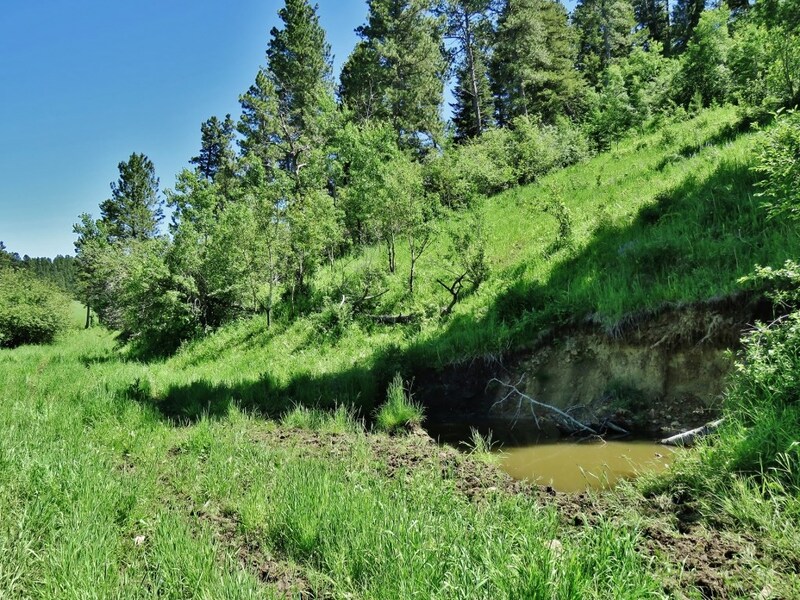 Flanked by a lush riparian corridor that provides excellent wildlife habitat, the Middle Fork of Beaver Creek winds through the ranch, flowing year round, offering a live water brook trout fishery for the sportsman. 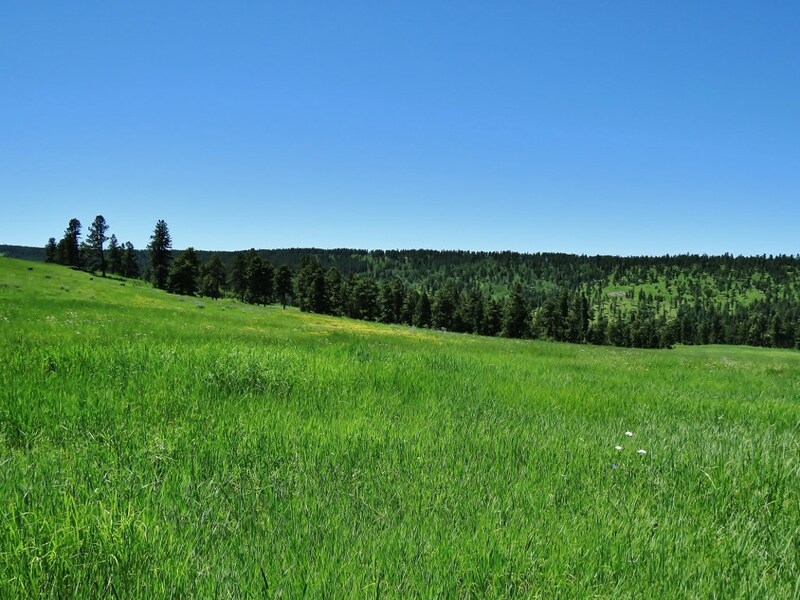 The Snowy Mountain Springs Ranch currently carries 100 pairs for 4 months, conservatively, providing excellent regrowth for the coming years. 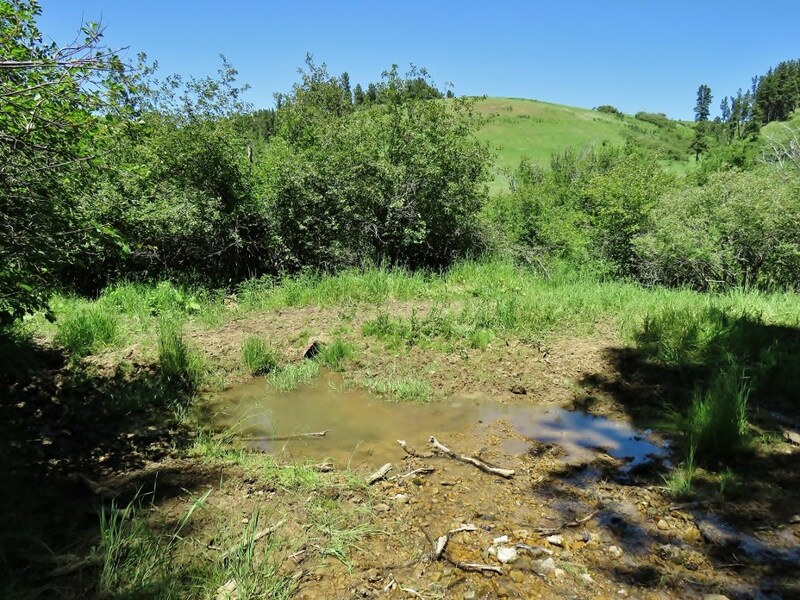 Five stock tanks provide water to the livestock, as well as the generous wildlife. 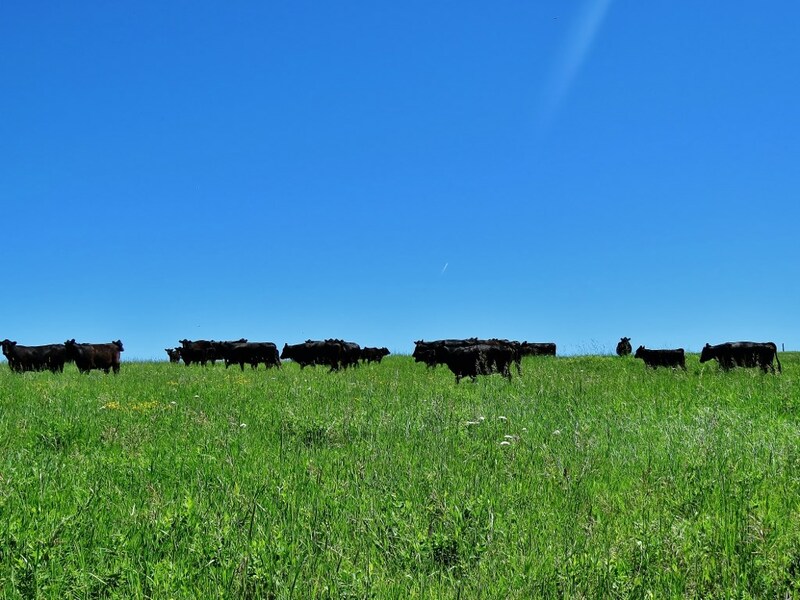 The property is perimeter fenced and cross fenced providing a total of five pastures, including a holding pasture adjacent to the barn. 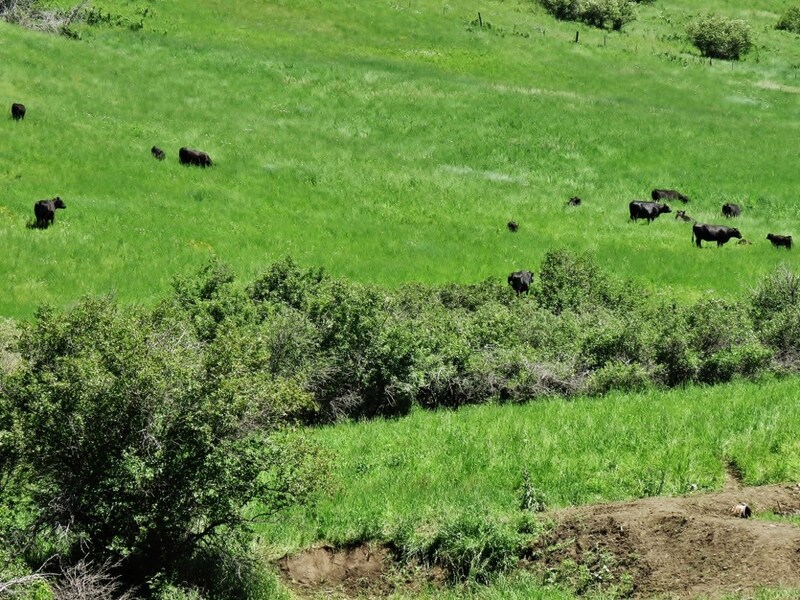 All is fenced with 4 wire barb wire and in excellent condition. 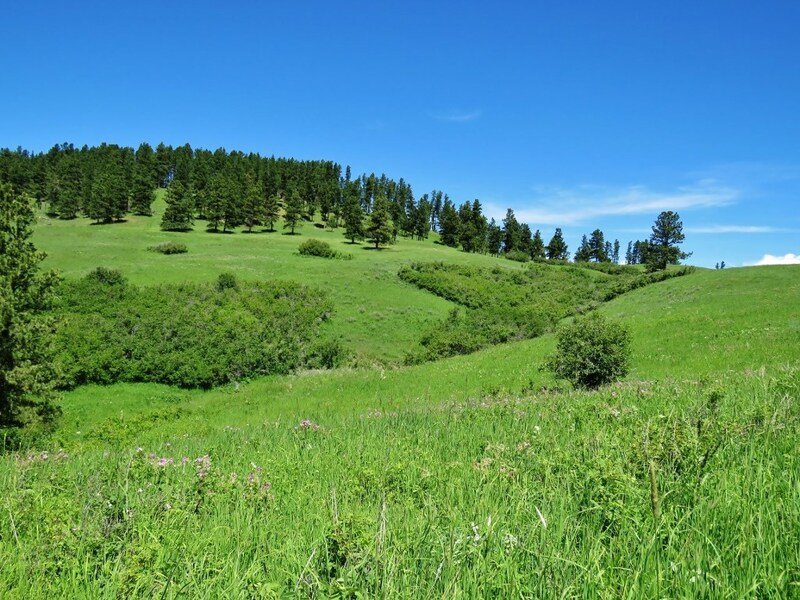 Lewistown MT has an annual average precipitation of 16.8 inches with 64 inches for annual average snow. 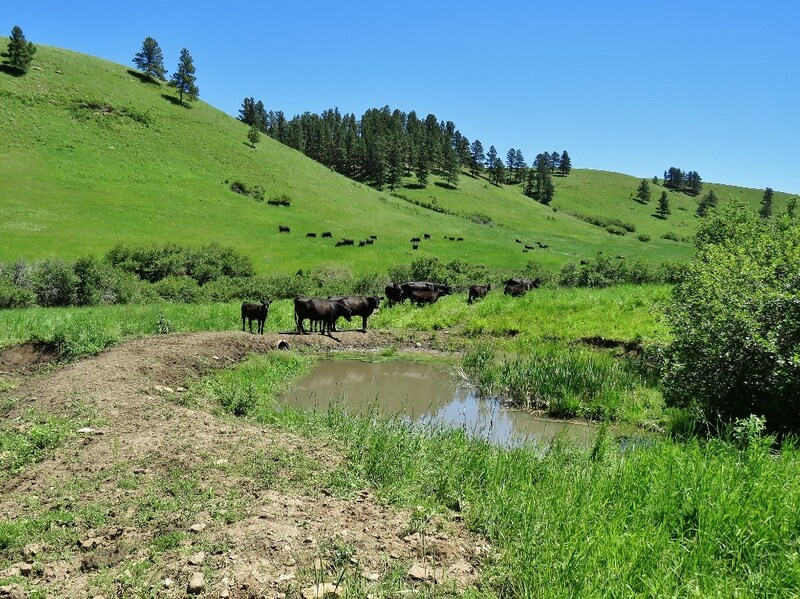 Located in the Big Snowy Mountains, the Snowy Mountain Springs Ranch is in an environment that generally provides higher moisture conditions that are very favorable for livestock grazing and wildlife habitat management. 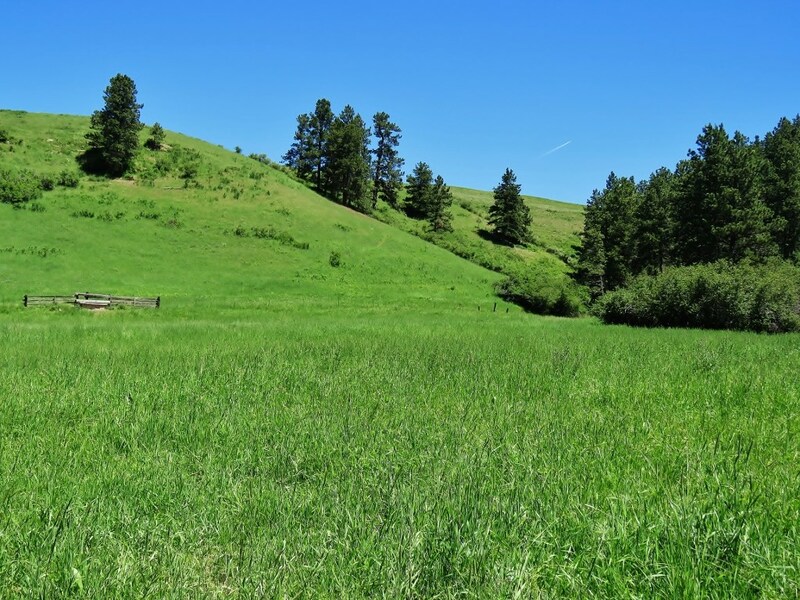 Improvements on the Snowy Mountain Springs Ranch include an older farmhouse, barn with stalls and livestock handling corrals, all located on the east side of Middle Fork Rd. 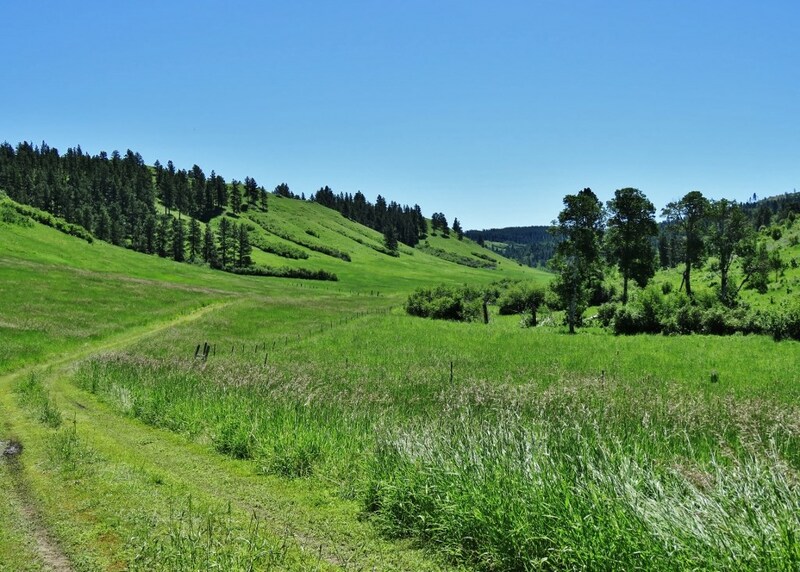 Located just south of the homestead, on the west side of Middle Fork Rd, is the rustic log cabin. 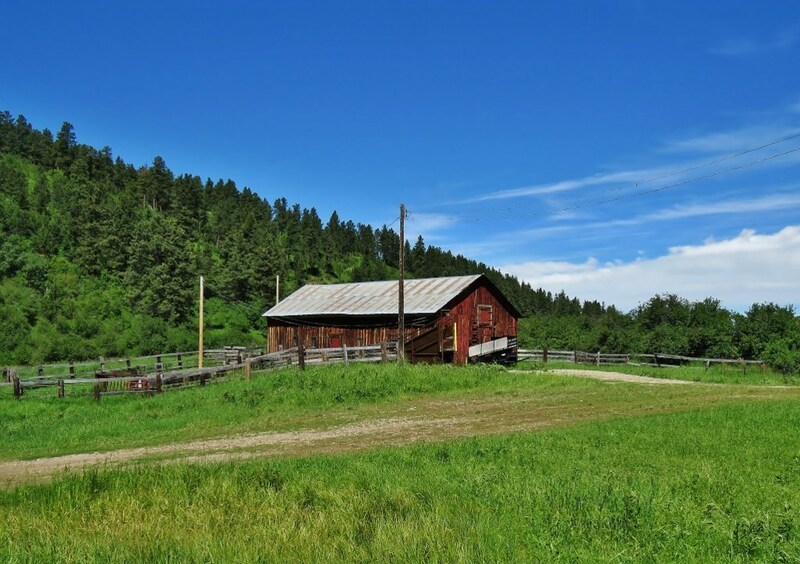 Electricity is at the farmhouse, barn and log cabin. 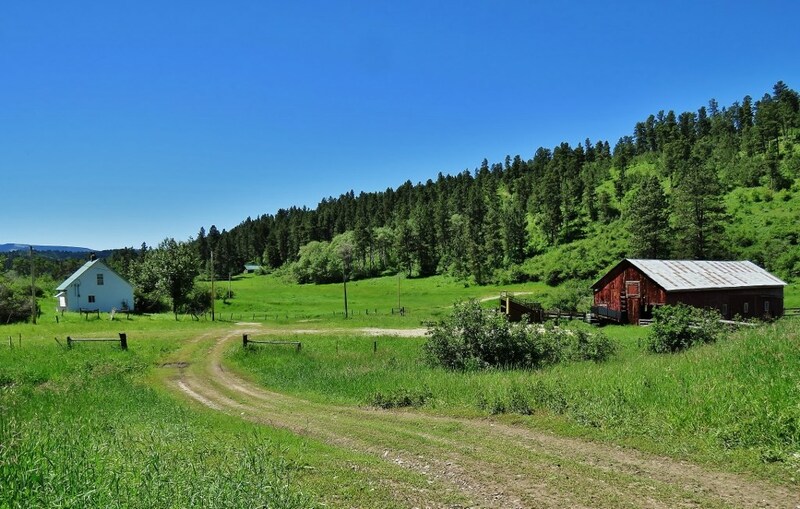 The farmhouse was built in 1920. 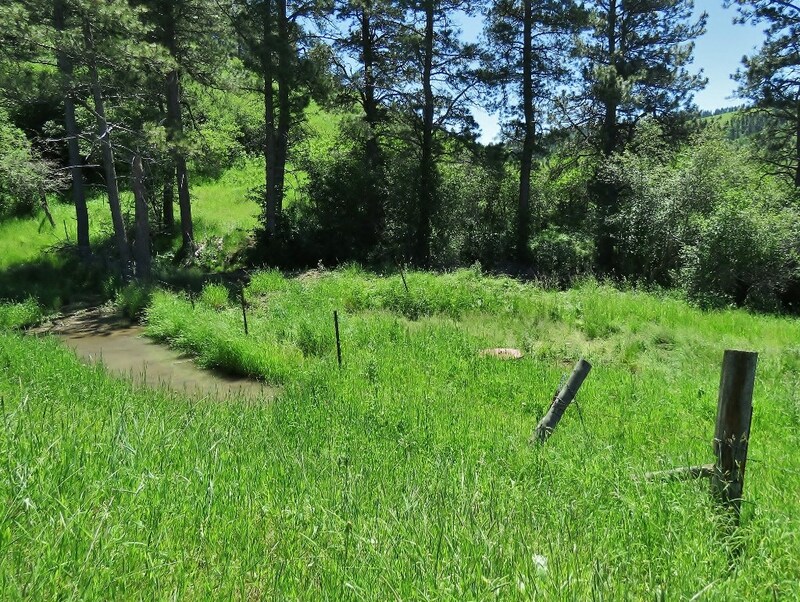 The two bedroom one bath home was last occupied in 2013 and has a metal roof with metal siding. 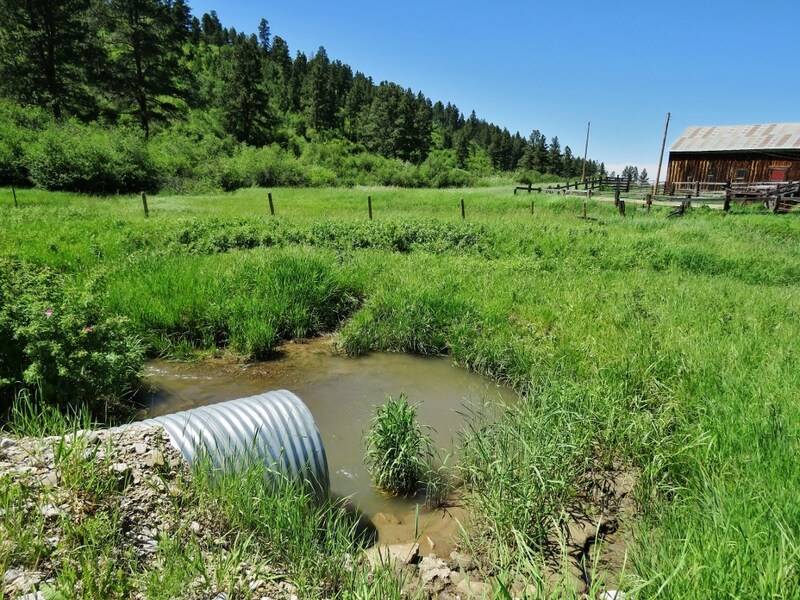 The farmhouse is fed by a developed spring that is gravity fed and has a pump installed just outside the home. 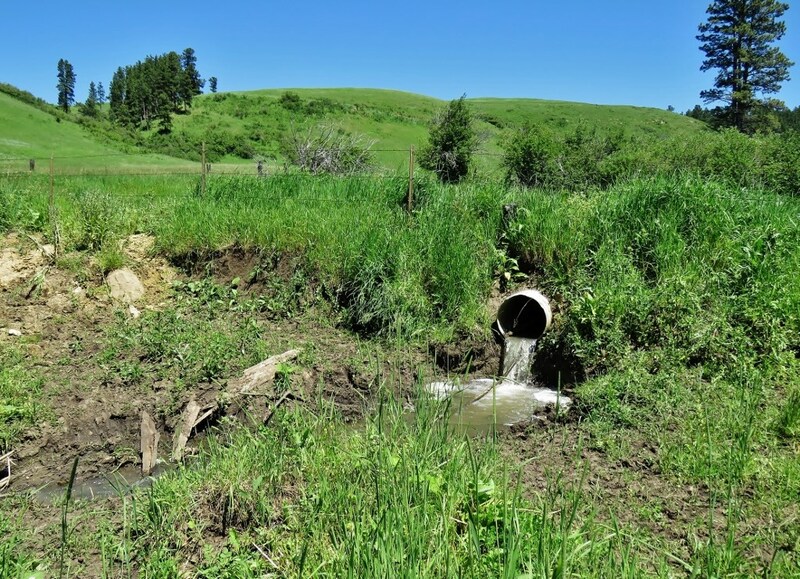 Septic system was fully operational in 2013. 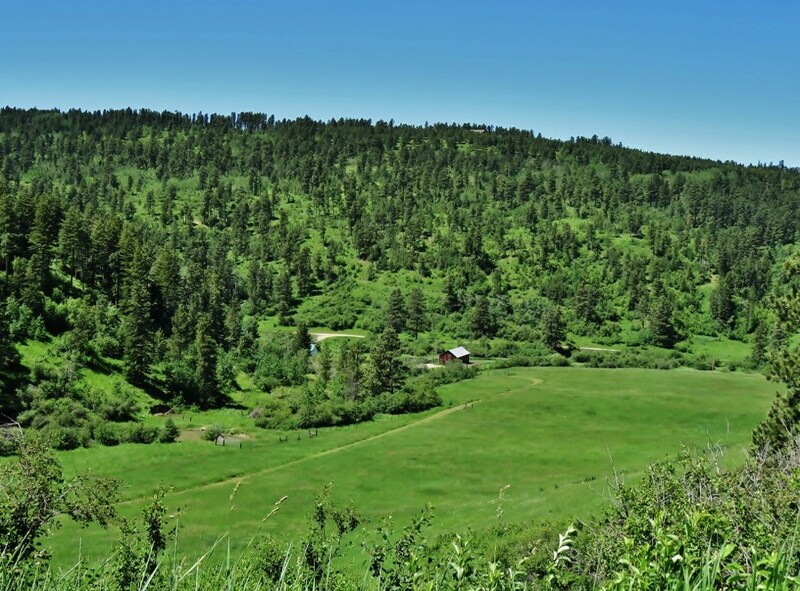 The rustic log cabin was built in 1934 and is equipped with electricity, a wood stove and a stone fireplace. 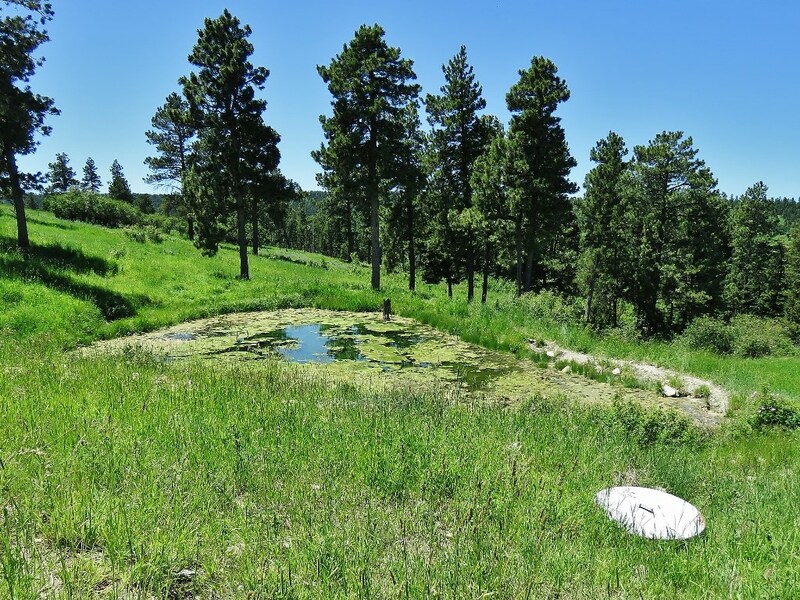 There is no running water or indoor plumbing, but a small spring behind the cabin could be developed. 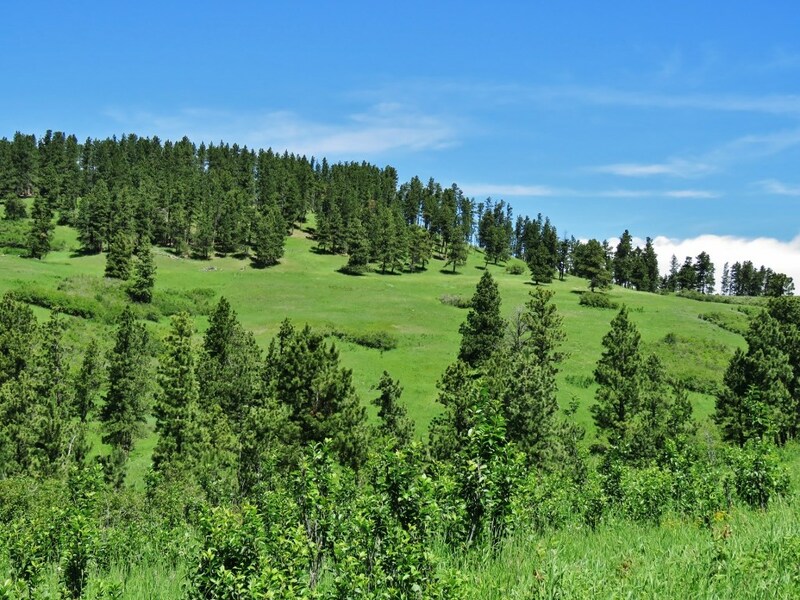 The cabin and approximately 45+/- acres on the west side of Middle Fork Rd can be purchased for $168,750 or $3750/acre. 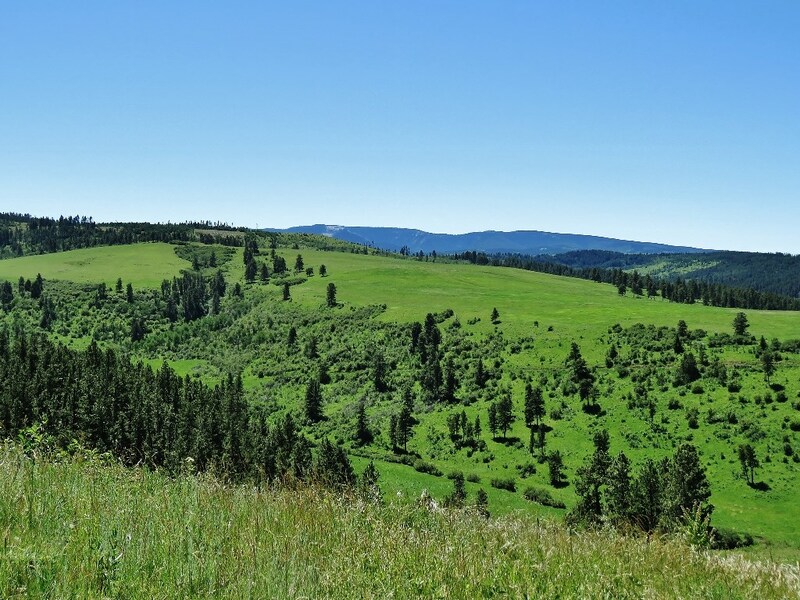 The remaining 617+/- acres with improvements, all located on the east side of Middle Fork Rd can be purchased for $2,131,250 or $3455/acre. 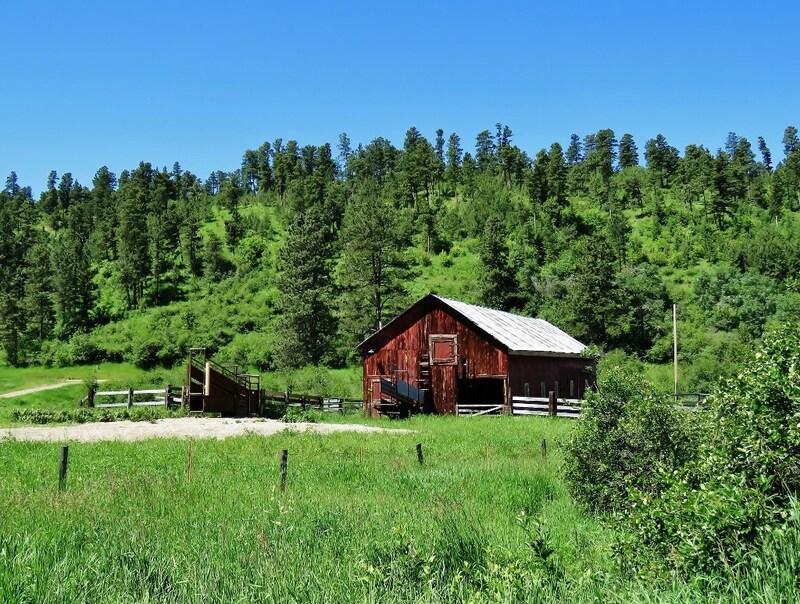 The barn was built in 1950 with three stalls, feed room, saddle racks and a full hay loft. 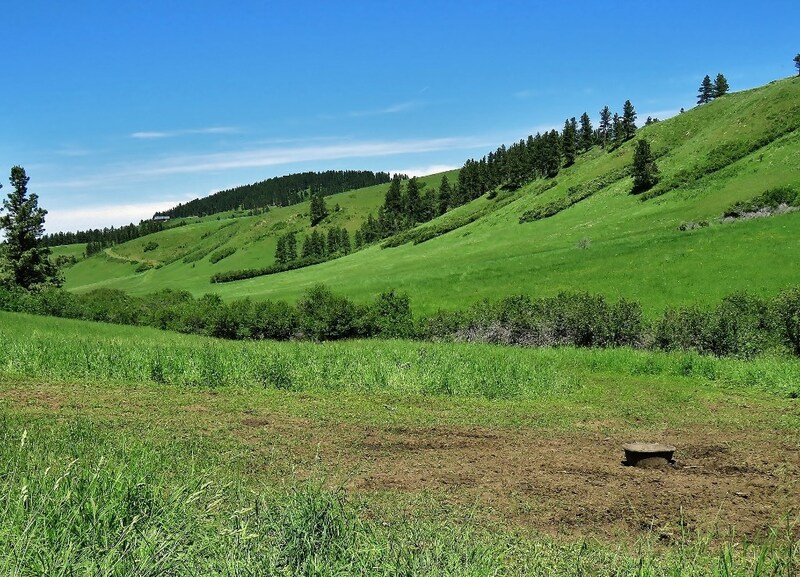 Finished with a metal roof, the barn is in good condition and ready for livestock, horses, pets or the kid’s 4-H projects. 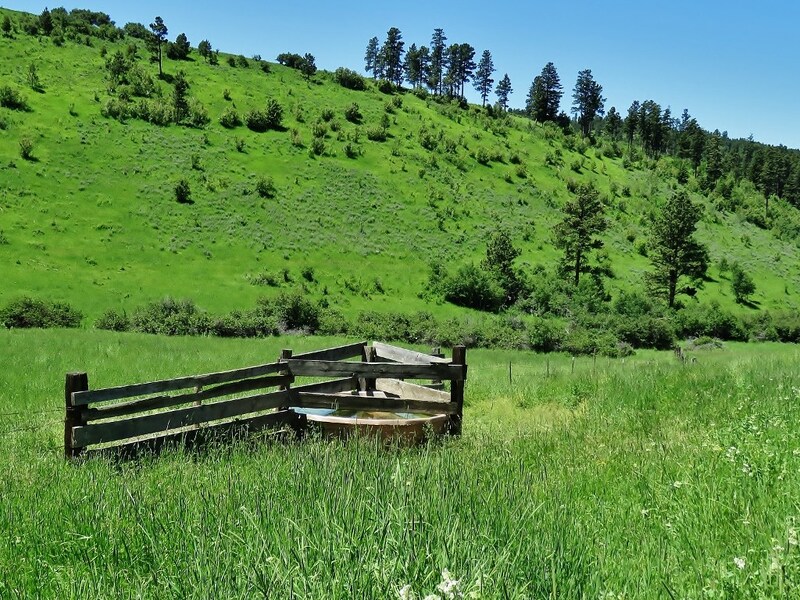 The livestock handling equipment include the wooden corrals and a squeeze chute. 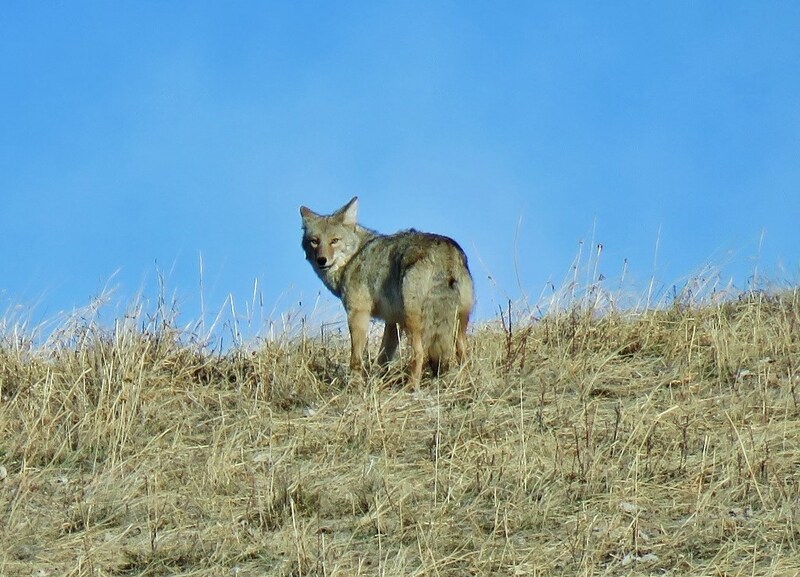 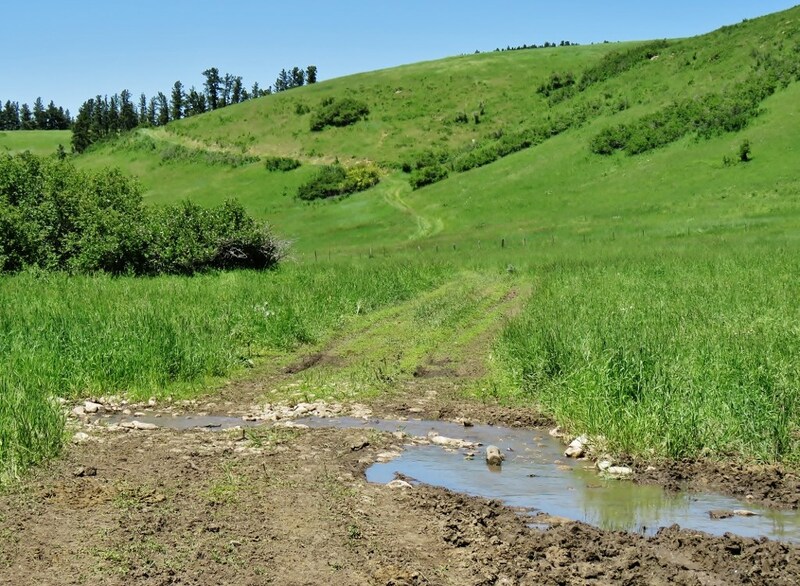 Abundant wildlife habitat is provided for on the Snowy Mountain Springs Ranch with the rich riparian areas, meadows, multiple springs, coulees and ponds. 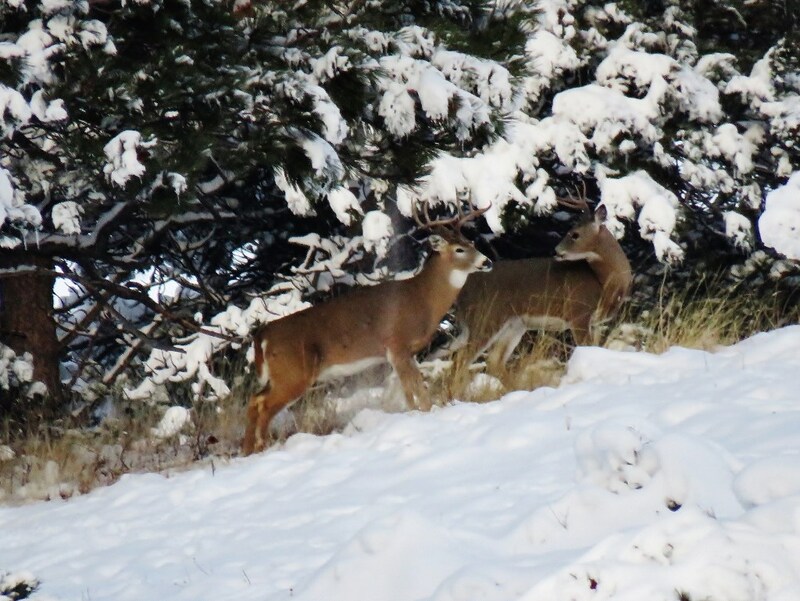 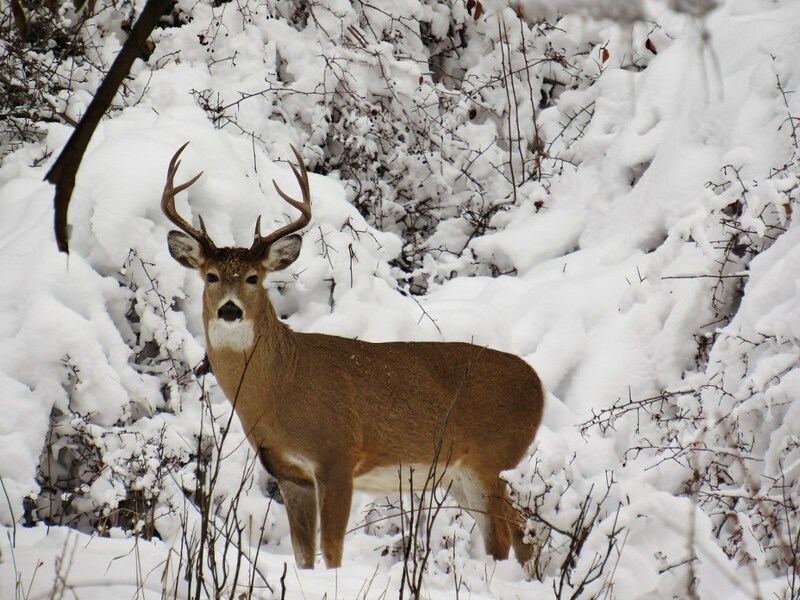 Wildlife viewing and hunting on this Central MT ranch is plentiful with whitetail deer, turkey, partridge, elk, black bear and mountain lion on the property. 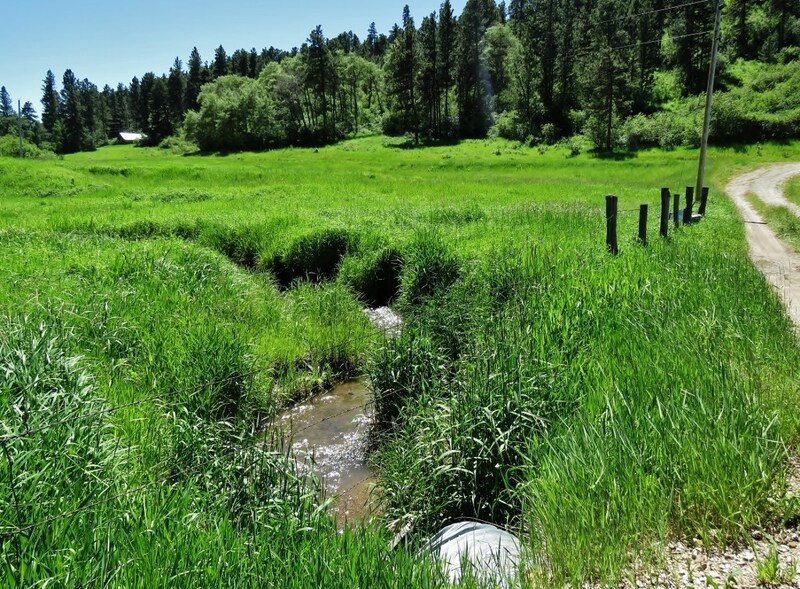 The Middle Fork of Beaver Creek provides a live water fishery for brook trout. 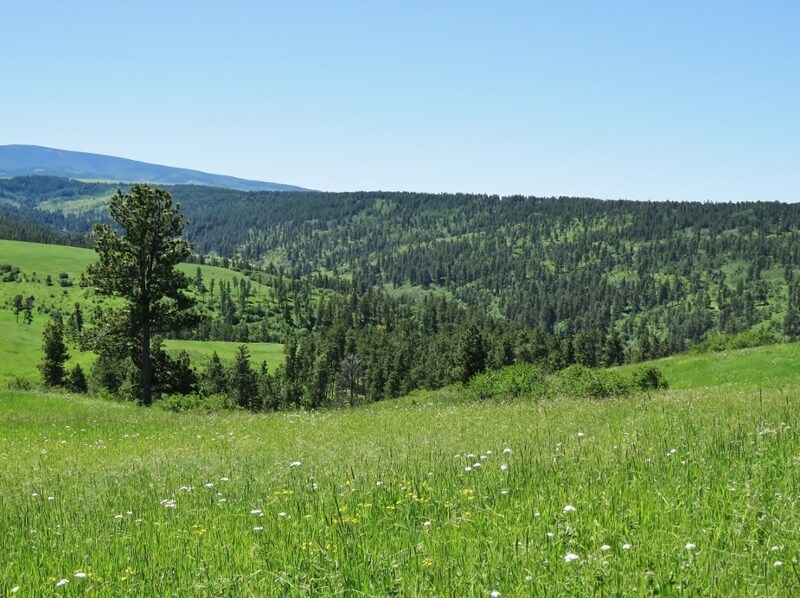 Additional outdoor recreational opportunities on the spectacular Snowy Mountain Springs Ranch may include snowmobiling, cross country skiing, snowshoeing, hiking, horseback riding and camping. 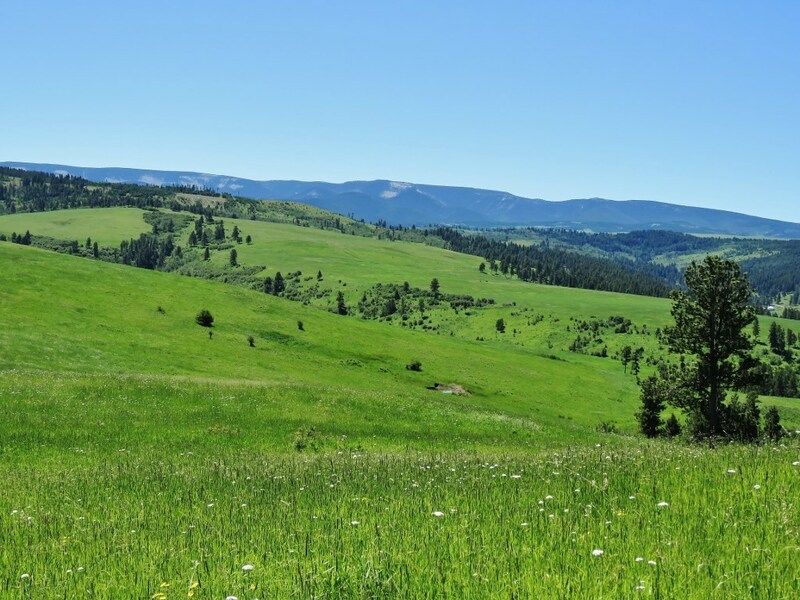 The Snowy Mountain Springs Ranch offers an excellent opportunity to obtain an extraordinary mountain ranch in Central Montana. 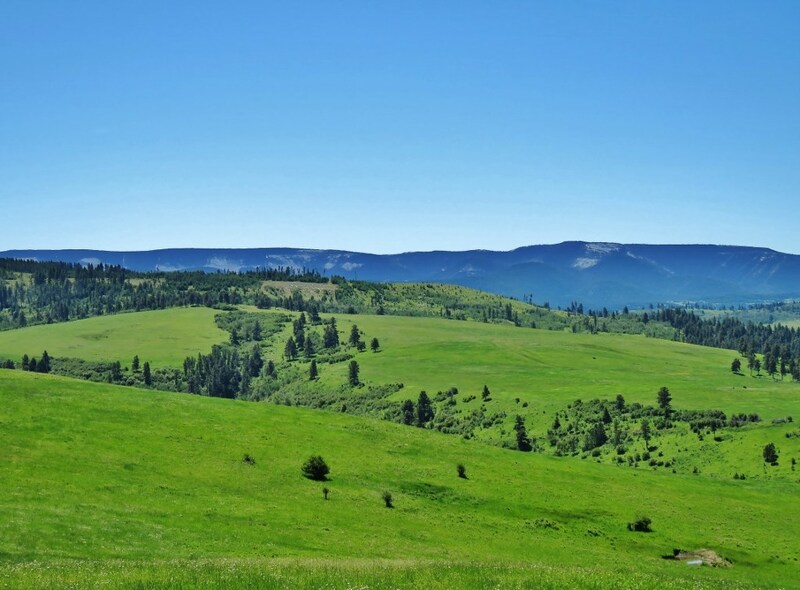 From the picturesque views of the surrounding Big Snowy, Judith and Moccasin Mountain Ranges, to the grassy meadows and the meandering Middle Fork of Beaver Creek, the Snowy Mountain Springs Ranch is truly a mountain paradise for the outdoor enthusiasts, offering incredible opportunities for wildlife viewing, hunting, fishing, hiking, horseback riding, snowmobiling, cross country skiing and more!